What are Syria's Nuclear Capabilities? The September 6, 2007 Israeli strike inside Syria led to widespread speculation on the nature of the target. Commentators on international affairs and experts on nuclear issues have debated the possibility that the targeted site was a nuclear reactor provided by North Korea. The conclusion of the debate is critical, because Syrian nuclear proliferation would significantly undermine the security of a U.S. ally, Israel. I will critically analyze the different sides of the debate, debunk many arguments, and provide my own assessment. Despite concern from the U.S. Intelligence Community and some policy-makers that Syria was working on a nuclear fuel cycle, it is widely believed that Damascus could not develop an indigenous fuel cycle. I will also assess the claim that Syria could not develop an indigenous nuclear fuel cycle. In this paper I first examine Syria's indigenous nuclear capabilities. I argue that Syria is incapable of indigenously mastering the nuclear fuel cycle. Then, I analyze the suspected reactor site, and critically assess claims that it was a nuclear reactor construction site, and that it is of North Korean origin. I assess that it probably was a nuclear reactor construction site, and that it probably was of North Korean origin. Finally, the paper offers policy recommendations in light of my assessments. Any attempt by Syria to develop an indigenous nuclear program faces numerous and significant difficulties. Although there is evidence of research, there is no proof of mastery of any elements of the fuel cycle. Current capabilities, outside of the alleged North Korean reactor, are not concerning. Most indigenous efforts are either not directed towards mastering the nuclear fuel cycle, or have failed to succeed. The preponderance of evidence indicates that Syria will depend on outside assistance for almost the entire fuel cycle. Syria has relied on substantial outside contributions throughout its nuclear history. Significant indigenous efforts are few, and often unsuccessful. Syria's nuclear history begins in 1969 with the signing of the Nuclear Nonproliferation Treaty. Ten years later, Syria established its Atomic Energy Commission of Syria (AECS). The AECS is a "governmental agency responsible for peaceful utilizations of atomic and nuclear technologies." As far as we know, until 2007, all nuclear developments have come through the AECS. Dr. Ibrahim Othman heads the AECS and leads the organization in conducting nuclear research projects. Many of the AECS's nuclear projects involve work with assistance from other countries and the IAEA. Syria's quest for a nuclear reactor began in the 1980's. Throughout the decade, Syria indicated its interest in obtaining a nuclear reactor, and sought out many opportunities. However, U.S. resistance over Syrian behavior made acquisition prohibitively difficult. It was not until 1991 that construction on Syria's nuclear reactor began. It is widely believed that Syria received U.S. permission for the reactor because of its good behavior and cooperation during the Gulf War. Syria used the opportunity to acquire a 30 KW research reactor from China. However, the type of reactor is the cheapest in the world, and was not a major concession by the U.S. After beginning construction in 1991, the reactor achieved criticality in 1997, meaning it had begun and self-sustained a fission reaction. Syria's 30 KW miniature neutron source reactor is located near Damascus at the Der Al-Hadjar Nuclear Research Center. The plant can produce neutrons for nuclear analysis, isotopes for industrial applications, and radioisotopes for training purposes, but it cannot be used for weapons production. The reactor consists of only 1 kg of highly-enriched uranium (HEU), which is well short of the 25 kg of HEU necessary for a nuclear weapon. However, the plant cannot be ruled out as a source of nuclear research. The reactor could provide essential insights for Syrian scientists into the nuclear fuel cycle that they would not be able to acquire through their own research. However, the extent of Syrian learning from the research reactor can be monitored, as the reactor is under IAEA safeguards. We know that through 2002, three operators of the reactor had conducted 1,371 experiments. Syria recognizes the limitations of its existing reactor, and has tried on multiple occasions to obtain a larger reactor. It wanted a 5 MW research reactor like Iran has in the Tehran Nuclear Research Center, and solicited Argentina and India for assistance. However, U.S. pressure caused the negotiations to break down. In both 1998 and 2003, Russia agreed to construct a nuclear reactor for Syria, but both agreements fell through, ostensibly due to pressure from the U.S. In 1997, Syria and the IAEA began a technical assistance project that would give Syria a cyclotron facility. The cyclotron is also primarily for research purposes. Like the research reactor, it has industrial purposes, specifically medicine. It allows Syria to produce short-lived radio-nuclides and short-lived radiopharmaceuticals for the first time. The cyclotron works by accelerating particles through electro-magnetic force. Such a technique could be used in Electromagnetic Isotope Separation (EMIS) enrichment. Although there is speculation that the Syrians are using research on the cyclotron to create an indigenous nuclear fuel cycle, the cyclotron is not the same technology as is used in EMIS. Moreover, EMIS is a very energy inefficient process. If possible, Syria would probably find it more practical to pursue the more efficient centrifuge enrichment method. To develop a functioning nuclear program, Syria would need to acquire significant amounts of uranium ore. Syria has attempted to extract uranium ore from phosphate rock with two major projects: the 1986 Phosphate Extraction Facility outside of Homs, and the 2001 Tri-superphosphate Extraction Facility outside of Palmyra. Recovering uranium from phosphates is a proven method for obtaining uranium, but not one that Syria has mastered. The 1986 project was to recover uranium from the phosphoric acid that was produced at the plant in Homs. The Homs plant produced the phosphoric acid from phosphate rock located at Charkia and Knifes. The deposits contain approximately 60 to 100 parts per million of uranium. The project between the IAEA and the AECS was canceled for "financial and contractual reasons." Specifically, despite the fact that the technology worked, the world market price of uranium was not sufficiently high enough to justify the program. The 2001 project may be technically feasible, but financial constraints have delayed production. Even if Syria could extract uranium from phosphates, they would still need "a pilot plant, an industrial scale plant and then possibly operations such as refining, conversion, enrichment and fuel fabrication." Syria does not appear to have any of the subsequent stages of the nuclear fuel cycle either. The Strategic Studies Institute's Wyn Bowen and Joanna Kidd assess that, "Syria does not appear to have conversion, enrichment, or fuel fabrication capabilities." Prior to the possible North Korean reactor, there was no plausible evidence proving otherwise. There is some speculation that the Pakistani nuclear scientist AQ Khan may have proliferated P-1 centrifuges or centrifuge design to Syria. However, evidence that Damascus ever received any materials or designs from Khan is very dubious. A 2004 declassified CIA report to Congress expressed concerns over the possibility AQ Khan offered technology to Syria. However, the report depends on Pakistani press sources claiming that the IAEA is alleging that AQ Khan offered the technology. Not only does the report rely on several layers of unsubstantiated hearsay, but it doesn't even claim that Khan transferred the technology. Subsequent reporting indicates that Syria declined the assistance. There is no concrete evidence supporting the claim that AQ Khan gave Syria technology or materials related to a nuclear program. An indigenous nuclear program is probably beyond Syria's financial means. Syria's 2006 GDP is estimated at $78 Billion. In 1993, the U.S. Congressional Office of Technology Assessment estimated the cost of a nuclear weapons program in the hundreds of millions of dollars. However, an indigenous clandestine program can cost from 10 to 50 times more. Syria would have to dedicate a prohibitively large portion of its GDP to fund a nuclear weapons program, and most analysts concur that they do not have the economic base to do that. Syria suffers from poor infrastructure, antiquated technology, and declining oil revenues. An aging population, a command economy, and the restrictions on political freedoms which deter foreign investment also contribute to a weak Syrian economy. Even if Syria wanted to dedicate its resources to a nuclear weapons program, it would still require "at least a modest technological infrastructure." Syria's scientific base is very weak, and insufficient to develop a nuclear program. Syria has very little participation in international science publications databases, even relative to neighbors in the region. Syrian papers are not frequently published in international journals. As the Swedish Defense Research Agency reports, "A survey of the major scientific databases from the 1960s to 2003 only produced approximately 280 "hits" for Syria compared to much higher numbers for Jordan (8,000), Egypt (60,000) and Israel (100,000)." Perusing the AECS website yields very few reports that the commission has published. Most articles on the site are not published by the AECS. Although it is possible that Syria is keeping its research private, to conceal a clandestine program, it is more likely that Syria has a very low technical base. My assessment is further supported by the fact that one of the main inhibiting factors to Syria's economic infrastructure is antiquated technology. Joseph Cirincione from the Center for American Progress concurs with my assessment: "This is an extremely demanding technology, and I don't think Syria has the technical, engineering or financial base to really support such a reactor." Syria's two most significant nuclear developments are its research reactor and cyclotron. Neither development is near sufficient to acquire adequate levels of fissile material, and both are products of international largess. Both are also primarily for nuclear research, and would be very difficult to impossible to convert into an enrichment program. Both are also under IAEA safeguards, making it very difficult to use in a clandestine nuclear program. On September 6, 2007, Israel struck targets inside of Syria. The public reaction to Israel's strike has been strangely quiet. Both Syria and Israel have generally refrained from talking about the attack. The U.S. and the rest of the international community have also said very little about it. Although not every targeted site has been identified in the open-source world, widespread reporting, and unclassified imagery have pointed to one site, which may have contained a reactor. The IAEA is still analyzing images of the site before offering their assessment. In the meantime, nuclear experts in the open-source world offer analysis on the event. The goal of this section is to analyze the merits and deficiencies of different viewpoints on the nature of the site. I then attempt to improve the debate by offering new arguments and possibilities. For different scenarios, I give estimations of probability, assessing whether it is impossible, unlikely, possible, probable, or certain. The first major open-source assessment of the suspected facility was David Albright and Paul Brannan's report, "Suspect Reactor Construction Site in Eastern Syria: The Site of the Sept 6 Israeli Raid?" Albright and Brannan argue that the facility is of North Korean origin. They support their claim by pointing out that the sides measure approximately the same as the North Korean 5 MW Reactor at Yongbyon. Figure 1. Side-by-side comparison of the North Korean and Syrian Reactor. Mensurations performed by ISIS . The high bay of the North Korean reactor measures approximately the same as the center segment of the Syrian suspected site. The water pump next to the Euphrates River (see Appendix) would be used to provide cooling water for the reactor. The lack of visible reactor construction is consistent with their explanation, as the reactor vessel is built gradually inside the building, and not brought to the site already constructed. No large crane would be necessary to bring large pieces of heavy equipment inside. The roof would hide what was going on inside the building very early in construction. Such a construction method is based off of previous Russian designs. After Israel 's strike, the quick clean-up of the area, which was complete by October 24 at the latest, increases the likelihood that it was being used for nuclear purposes . Syria and North Korea would not have wanted to expose their actions to the world , and would have had strong incentives to clean up quickly . If based off of the North Korean reactor, it has the capability to produce 20-25 MW, which would make enough plutonium for one nuclear weapon a year. If it is a gas-graphite reactor, then it would need a specialized facility to chemically separate the plutonium from the irradiated fuel discharged from the reactor. However, such a facility has not been located. Joseph Cirincione from the Center for American Progress very strongly criticizes the ISIS view. He states, "This isn't like a Road Runner cartoon where you call up Acme Reactors and they deliver a functioning reactor to your back yard. It takes years to build ." He furthers, "If North Korea gave them anything short of nuclear weapons it is of little consequence. Syria does not have the financial, technical or industrial base to develop a serious nuclear program anytime in the foreseeable future ." There are several problems with Cirincione's critique. First, the facility has been under construction for years. There are images of it available back to 2003 . The presence of trucks and heavy machinery indicate that it was still under construction. While he is correct that Syria 's technical and financial bases would be hard pressed to support a nuclear weapons program, North Korean assistance would help Syria overcome many of the difficulties. The most logistically and technically demanding element of the nuclear fuel cycle is acquiring the fissile material. If North Korea can provide the Syrians with already highly-enriched uranium, can help them with and oversee plutonium production, and give them weapons designs, Syria does not face a very daunting task. The only real difficulty left is hiding the program from the world, which they apparently failed to do. Martha Raddatz from ABC provides an alternative view, but still supports the claim that the site was a reactor construction site. She cites a U.S. government official to support her argument. The official describes images with a big cylindrical structure, with thick reinforced walls. There was a secondary support structure and a pump station, because a nuclear reactor would need water for coolant. There was a larger structure just north of the small pump station. No fissionable material was found because the facility wasn't yet operational. The official also claims that the facility had North Korean construction design, technology, and expertise. Finally, a light water reactor designed by the North Koreans could produce plutonium for nuclear weapons. Jeffrey Lewis, a nuclear expert who maintains the Blog ArmsControlWonk.com provides a good criticism of Raddatz's view. First, the reactor is box-shaped, not cylindrical. Second, the comparison to North Korea is problematic, as North Korean reactors are gas-cooled, which do not require a pump. In addition to Lewis's criticism, there is no large structure north of the pumping station, which further makes Raddatz's claim difficult to accept. Lewis does however, concur with Raddatz that it could be a light water reactor. Lewis's light water reactor analysis also functions as a criticism of Albright and Brannan. According to Lewis, it is possible that the site contains a light water reactor provided by Iran, which no one is mentioning. Since the reactor could just as easily be of Iranian origin, the case that it is North Korean is suspect. Furthermore, the site could be almost anything. All we can see is a big concrete building and a water pump. There could be multiple industrial purposes for a water pump, and it could even be a swimming pool. After reporting of the attack, Lewis subscribed to the argument that the facility was storing a North Korean shipment of SCUD-B and C missiles. If it was an intended launch site, where the missiles might launch through the raised middle segment, they would most likely be SCUD-C variants. The site is approximately 600 kilometers from Jerusalem and Tel Aviv, and 500 kilometers from the Israeli border. The maximum range for the SCUD-C is 600 km, whereas the maximum range of the SCUD-B is 300 km. However, Lewis later changed his opinion after the source, Chris Nelson, also abandoned the view. The SCUD scenario is unlikely for several reasons. First, there are no functionally-related observable differences of the facility in the imagery to prove that it is dedicated to SCUD missile storage. Second, there is no clear reason why a SCUD storage structure would need a pumping station. Third, the facility doesn't have any of the features of other SCUD bases. The image on the next page shows a typical Syrian SCUD storage base. Fourth, there is no clear reason why Syria would pick the facility for SCUD missile storage. There is no major access road. It is approximately 350 kilometers from any port, and the missiles supposedly came by sea. Thus, the SCUD missile storage theory does not seem plausible. There are several flaws in other elements of Lewis's analysis. After his posts, readers have pointed out that the North Korean reactors definitely do use water coolant, as you can see steam coming out of the cooling tower. Even though no pump is visible, the reactor site is very close to the river, a constant source of water. Lewis later concedes that water coolant could be used for a secondary cooling tower, a possibility he neglected. However, it is more than just a possibility. The steam coming out of the tower means that water is certainly used in the process, and would be used by the Syrian reactor. Lewis's concurrence with Raddatz's light water reactor analysis is useful, because it allows us to compare the North Korean link to a competitive scenario. Syria has previously indicated a desire for a Pan-Arab nuclear program. While Iran is not Arab, Syria could still see Iran as part of a general partnership, given their recent cooperative diplomacy. Moreover, Syria certainly would need help in a nuclear fuel cycle, and bringing in cooperation would be plausible. The claim that it is a light water reactor, rather than the North Korean MAGNOX variety also allows us to compare the site to an alternative nuclear site. However, the site is certainly not a light water reactor. Water-moderated reactors are huge, unmistakably large structures. For example, the heavy water reactor at the Savannah River Site in Georgia measures approximately 180 meters wide (see Appendix). There is nothing in the image coming close to that size. If Syria wanted to have a clandestine nuclear program, a heavy water reactor would be a terrible strategic idea, because it is unmistakable. It is impossible for the site to be a light water reactor. Although I tend to agree with Albright and Brannan's view, there are significant shortcomings. First, the fact that the analysis is so heavily dependent on roof analysis is problematic. Without the ability to see inside the buildings, analyzing the roof does not yield very useful conclusions. Simply because two buildings have the same floor space does not mean that they are used for similar purposes. Second, their roof measurements are also problematic. The high bay of the North Korean reactor does not have the same measurement as the middle segment of Syrian building. The measurements of these two sections are the most important part of the comparison, because that is where the reactor would be located. The surrounding structure measurements could vary naturally, and wouldn't be as important. However, the reactor measurement is the measurement that really matters. However, Albright and Brannan's North Korean link is still salvageable. First, it is possible that their measurements are incorrect. Extending the length of the middle segment is plausible. Looking at the Syrian suspected site, if we extend the measurement of the middle section to the edge of the building, the high bay and middle segment match. Although on first look the center appears to be divided, the roofing 'division' on the southern side does not look as straight as the division of segments on the northern side. Thus, there may be no division at all, which would make the measurements match. There are several shortcomings to my contention. First, it is still relying on suspect roof analysis. Second, extending the measurement is essentially a judgment call based on subjective perceptions of the roof. Either interpretation is legitimate. Third, classified imagery with higher resolution may trump my viewpoint. However, the goal of my analysis is to show that we cannot rule out the site because of the measurement of the roof, as an alternative measurement is plausible. The North Korean link is still probable due to other supporting evidence. My second argument supporting the North Korean link is that the circumstantial evidence involving the pumping station and the quick clean-up is quite powerful. Although circumstantial evidence generally has a bad connotation, especially in courtrooms, the evidentiary requirements for analytic assessments and actions in the international arena are not as stringent as in the justice system. States almost never have perfect intelligence proving a claim one way or another. They are forced to rely on probabilistic claims. Israel still needed to act one way or another on the suspected site. Choosing to do nothing is still an action, and Israel had to weigh the consequences of doing nothing with undertaking the strike. We should not necessarily dismiss intelligence assessments because they rely on circumstantial evidence. The presence of the pumping station provides a very strong argument for the claim that the site was a reactor. If the site was an unused military structure as the Syrians claim, then it would not need a pumping station. An unused military structure would not mandate quick clean-up afterwards either. Furthermore, an unused military structure would probably still have a clear perimeter, which almost all military facilities do. There is no perimeter in the image. A clandestine nuclear site may not have a clear perimeter, to help with concealment. Finally, the fact that the pumping station was not present in 2003, but was present in 2007 is further proof that the site was in use. If it was for industrial purposes as Lewis has argued as a possibility, it would not need to be cleaned up so quickly afterward. It is also hard to imagine an industrial facility in such a remote location that would be so small and require a water pump. Furthermore, the Syrians have admitted that it was a military site, further disproving Lewis's claim. I assess the site prior to the Israeli attack as a probable nuclear reactor of North Korean origin. Such an assessment fits with the actions of Israel and the U.S. as well. U.S. intelligence agencies reportedly were looking at the facility, but could not confirm what it was. Without a water pump, it would indeed be difficult to discern. Once the Israelis saw the water pump go up, they would be understandably concerned. The water wouldn't be necessary till the reactor was ready to be in use. The pumping station could also be built very quickly, and thus could be delayed till near the end of the construction. Another criticism of my view would argue that there is no cooling tower in the image. The lack of a cooling tower could undermine my analysis in two ways. First, the Yongbyon reactor has a cooling tower, undermining the comparison. Second, if the reactor really was close to operational, then it would need a cooling tower to operate. However, the reactor would not necessarily need a cooling tower. Although the North Koreans have chosen to have a cooling tower, perhaps for reasons of efficiency, the Syrians do not need a cooling tower. The Indian reactor Dhruva at Trombay, which is used to make weapons-grade plutonium, does not have a cooling tower. The Syrians could pipe steam used in cooling the reactor back into the river, and pump in cooler water from the river. The cooling tower is only necessary to cool water that is going to be reused. It is unclear what the environmental concerns of pumping hot water and steam into the Euphrates would have been. However, in the Syrian calculus the security benefit of having a nuclear weapon would almost certainly outweigh the environmental concerns and water waste. Another criticism of my assessment may point out that the scenario is merely speculation. The critique could contend that floor space is not enough to confirm the purposes of a building. Roofing similarities are a dubious comparison, as you still can't see inside the building. The U.S. had been watching the facility for years, and could not confirm whether the site was nuclear or not. Israel may have been understandably concerned, and acted with incomplete evidence. It is better to wait for more evidence before drawing a conclusion just from a box-shaped building. The criticism is very appealing, and holds a lot of merit. A careful analyst would certainly not want to claim that the site is certainly a reactor construction site. However, without any other plausible scenarios, and strong evidence that it is a reactor construction site, it merits the 'probable' label. The assessment would be much stronger with several critical pieces of information. First, we would want to discern when the pumping station was built. Second, soil samples from the area could provide strong evidence that there was nuclear activity. There are claims that Israel has soil samples, but the claims have not been corroborated, and are questionably sourced. 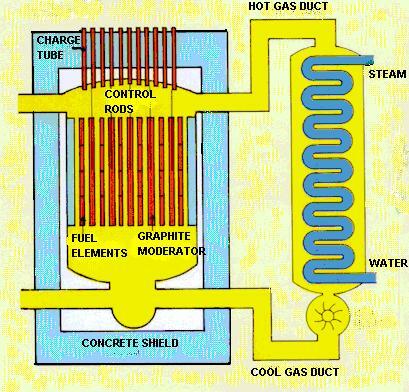 Third, we would need a post-strike image, where we could see inside the building for elements of a nuclear reactor. If the site was a reactor, it is difficult to assess how that would change Syria's nuclear capabilities. It is unknown if anything nuclear-related was at the site, or if it survived. It is also possible that the site was not designed to support Syrian nuclear capabilities. Rather, it could have been an effort by North Korea to disperse or outsource their nuclear program. North Korea previously outsourced its missile testing to India and Pakistan. Thus, Syria's nuclear program may not have been the beneficiary of the possible reactor. If the site was a nuclear reactor meant to improve Syrian capabilities, it would have been able to produce enough plutonium in separated fuel for one bomb a year. However, the Syrians would also need a separation facility, which has not been located. Although there are weaknesses to the claim that the suspected site was a nuclear reactor construction site of North Korean origin, I contend that it is probable. Albright and Brannan's conclusion is the most likely, as the critics' arguments are generally flawed. However, Albright and Brannan's arguments would be stronger with the arguments that I have provided. Although I cannot offer a definitive answer, I aim to strengthen the debate by suggesting new possibilities and arguments. My assumption is that policy-makers will want to contain Syria's nuclear program. Given that Syria is a state-sponsor of terrorism, an enemy of Israel, and friendly with Iran, the geostrategic reasons for containing their nuclear program are compelling. I do not, however, believe that we need any major policy changes to continue to stem the growth of Syria's nuclear program. Israel's strike appears to have been a successful counter-proliferation action. However, there are several intelligence gaps as to whether the strike was a successful counter-proliferation action or not. The intelligence gaps also make it difficult to develop a strategy for confronting North Korea over the issue. Policy Recommendation I. Fill in the intelligence gaps. It is still unknown whether there was a reactor under construction in the building. Obtaining a post-strike image prior to the quick clean-up would be helpful in determining whether it was nuclear in nature. Such an image would also let us know whether the strike was successful in destroying the reactor. It is still unknown whether the reactor was completely destroyed or not. It is plausible that the strike missed, but Syria still wanted to clear the area to protect their nuclear material. Determining whether Israel's soil sample claims are accurate should be an intelligence priority. It is possible that Israel wanted to further persuade the U.S. that the facility was a reactor, but that U.S. intelligence officers did not accept the Israeli interpretation. The soil sample claim could have been manufactured by the Israelis to improve the assessment. However, the soil sample story could be completely accurate too. There isn't sufficient intelligence to endorse either interpretation. Policy Recommendation II. Engage Syria. Although the Bush Administration has typically been reticent to negotiate with Syria, now could be the appropriate time for engagement. Syria's relative silence over the strike, rather than protesting Israel's actions, is a further indicator of guilt. Syria may now fear public embarrassment and sharp consequences, giving us a useful diplomatic tool that could be used as a carrot or as a stick. Refraining from publicizing the story could be useful in gaining trust and good will. The strike and our subsequent good will could show Syria the disadvantages of pursuing a path such as Iran's, and the benefits of non-proliferation. They may also see the disadvantages of cooperating with other proliferants, such as North Korea and Iran, and see the advantages of cooperating with the U.S. Their recent willingness to participate in the Annapolis Middle East Peace conference could be an early sign of such willingness. To prevent future proliferation in Syria, we need to persuade Syria that their security concerns can be met without possessing nuclear weapons. Not only will successful engagement prevent future proliferation, but Syria may also provide important intelligence on other concerns. We may learn more about North Korean capabilities, Iranian capabilities, and the AQ Khan network. Now is an excellent opportunity for engagement, with the prospect of many significant benefits. Figure 5. Schematic of the MAGNOX reactor type . The Yongbyon reactor and the suspected Syrian reactor would have a similar design. Figure 6. Albright and Brannan's Analysis of the suspected site. Brown, Tim, Interview on various dates. International Atomic Energy Agency "SYR/3/003 Uranium Recovery from Phosphoric Acid." Pike, John, Interview on various dates. Wright and Warrick Joby "Syrians Disassembling Ruins at Site Bombed by Israel, Officials Say." Measurement performed in Google Earth. Interview with John Pike, Director of Globalsecurity.org on various dates. Argument made by John Pike, in an interview on December 7, 2007.